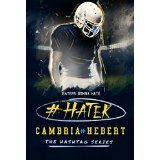 synopsis….Book two in the Hashtag Series! 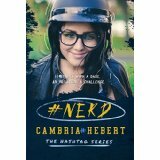 I can’t do my review for these books individually, because as soon as I finished #Nerd I was diving into #Hater. I adored this series. The chemistry between the two main characters Romeo and Rimmel is nuclear. The first story gives you the beginning of Romeo and Rimmel’s love story. It unfolds at a pace that has your finger swiping quickly in order to devour the next page. I became invested in the characters immediately. I found myself breaking out into spontaneous smiling when the two were together. The next installment in the #Hashtag series is coming out soon (Yay!) You still have time to catch up with Romeo and Rimmel just in time for #Player.